Anger was on display during an open house at the former Salem Baptist Church building on Fort Sumter Road in Halls Nov. 6, as a community forum hosted by Angelic Ministries, the new owner of the building, devolved into shouting. The Angelic Ministries board of directors scheduled the open house and forum in response to concerns that the mission would use the building as a drug and alcohol rehabilitation center or halfway house. Those living nearby and those with family interred in the neighboring cemeteries were worried that those uses would attract crime and lower property values. The meeting opened with prayer before a packed sanctuary, and Angelic Ministries founder Betsy Frazier led the group in a hymn. Then, executive director the Rev. 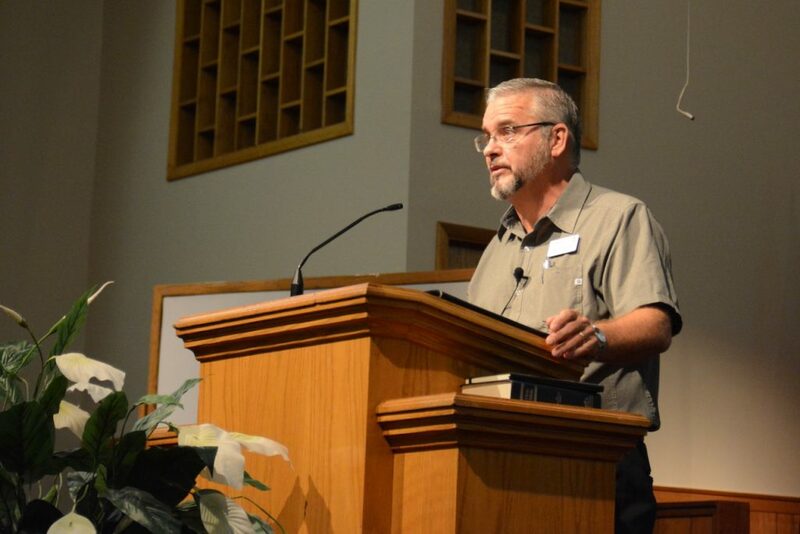 Tony Earl spoke about the mission’s purpose, invoking Luke 10 and the parable of the Good Samaritan. 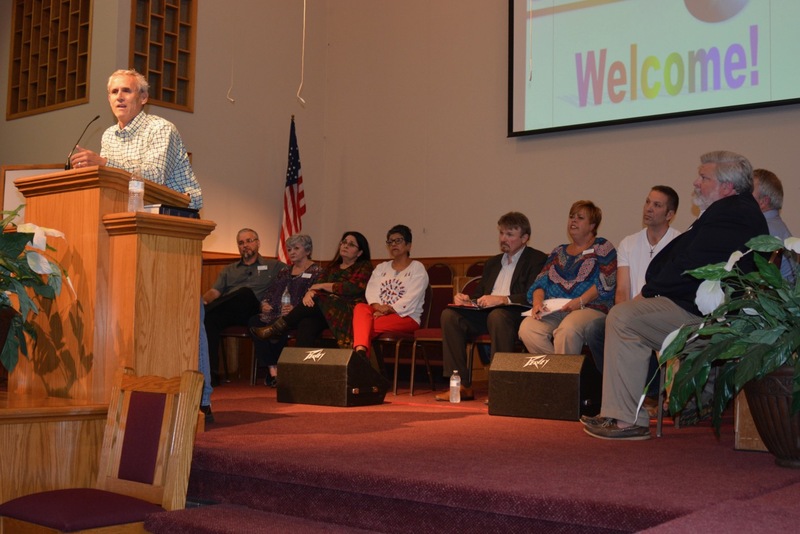 Angelic Ministries board chair John Winters, a Halls resident, took the pulpit next, saying that he would give the history and perspective of the board’s decision to purchase the church building, but shouted questions from the audience overrode his speech. 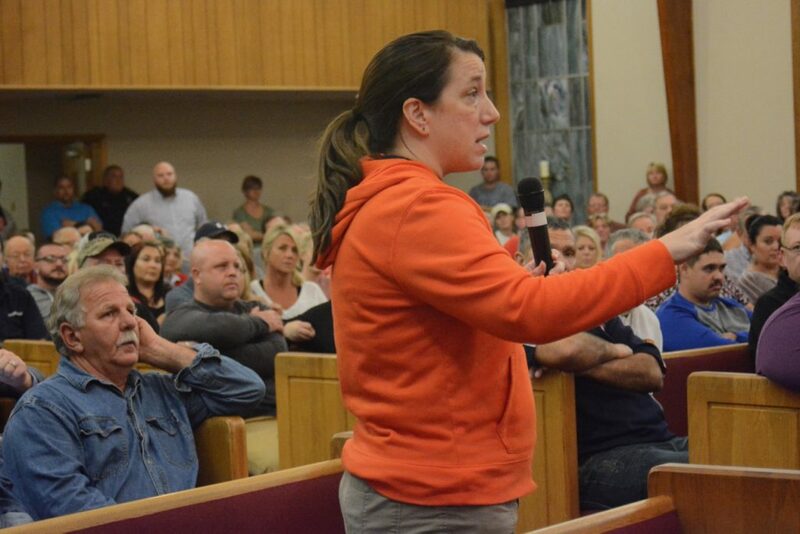 Audience members demanded that the board commit in plain language, or even enter into a contract, that the building will not be used for drug or alcohol rehab or a halfway house. But not all responses were shouted. Susie LaRue, whose property adjoins the church, said she worries about safety when she picks her grandchildren up at the nearby bus stop. L.E. Schmerber asked if Angelic could add a board member from the immediate neighborhood. L.E. Schmerber speaks to the board of Angelic Ministries. Several audience members claimed to have been deceived by the board, citing board member Danny Smiddy as the source of the rumor that the church would be used for a residential recovery facility. Winters said the board considered using the building as “a spiritual growth program for a handful of men” in the early stages of their discussions, but “that use didn’t make it to the decision to purchase the building,” after the board discovered that the building was not zoned or set up for that use. Winters called for an on-the-spot resolution and vote by the board promising not to use the building for a rehab or halfway house. Amid shouted amendments from the audience, Winters said the board would instead, in a regular meeting, discuss adding language in their bylaws prohibiting the building’s use for those purposes. Earl took the pulpit once again, saying that Angelic Ministries will not go against the community’s wishes for the property.